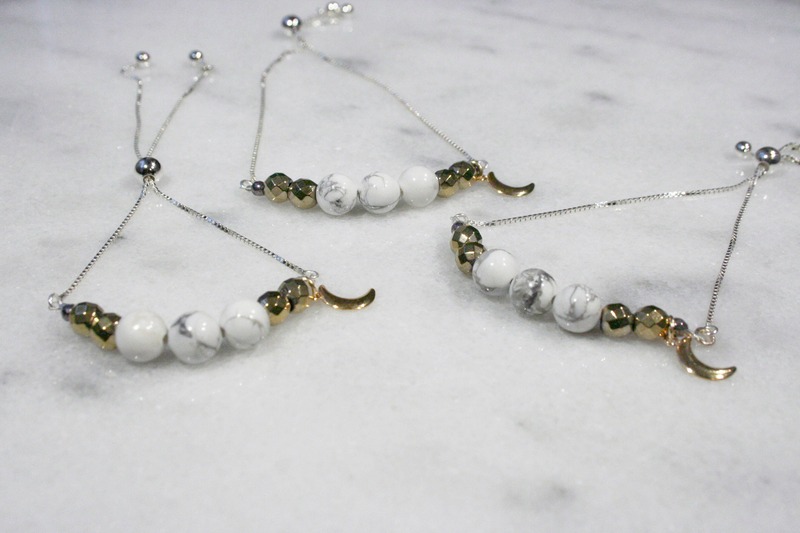 Three round white howlite stones are surrounded on each side by two gold-coated, faceted pyrite stones. 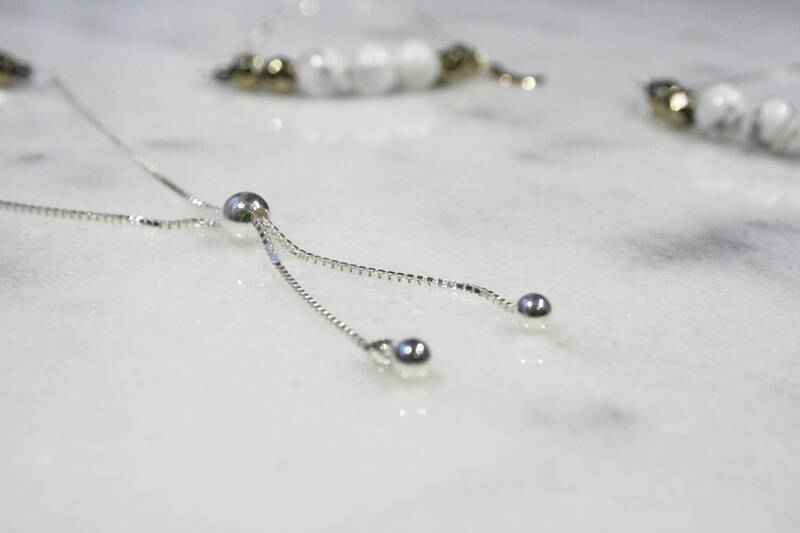 A dainty hematite stone is placed on either side of the pyrite stone ends. An adjustable bead slides up and down the sterling silver box chain, making this bracelet a perfect fit for anyone. 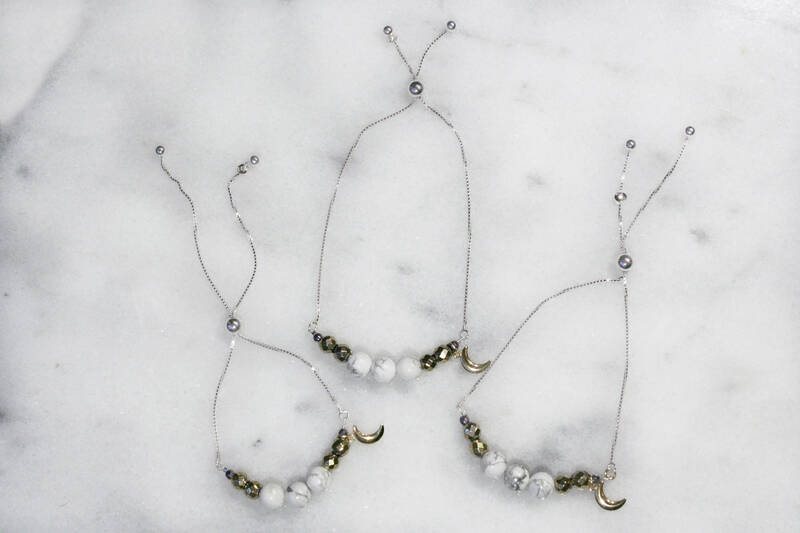 Two delicate sterling silver beads hang at the end of chain, adding a little extra flare. 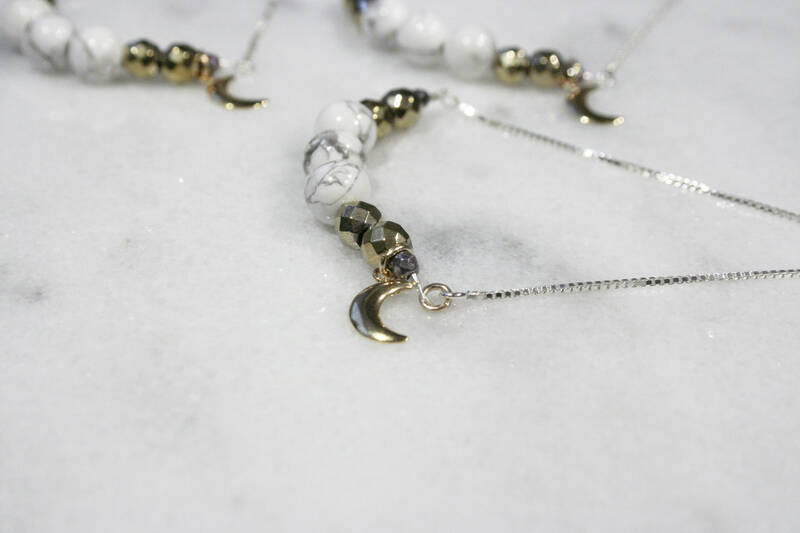 A single 14k gold filled crescent moon charm adorns each bracelet, hanging from a 14k gold filled ring. This beautiful mix of metals, 14k gold filled and sterling silver, makes this bracelet a perfect match for any outfit! Howlite is a calming stone. It also encourages awareness, opening the mind to what surrounds the wearer. Hematite is a stone of protection and balance. Wear this bracelet as a reminder to let go of what weighs you down, and to fall in love with the world around you. * Please note that the actual pieces of howlite may vary from the pieces shown in the picture. The size and shape will be consistent with what is shown, but the grey veining will be unique . 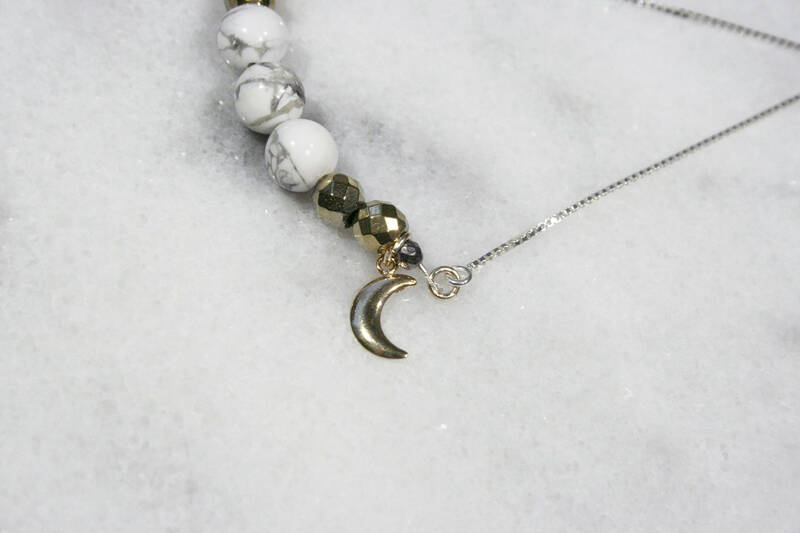 Only sterling silver and 14k gold filled materials are used for this bracelet. With reasonable care, these materials will not tarnish, peel or flake, and should last as long as solid 14k gold jewelry. It is safe for most people with sensitive skin.